You can assign a unique name to each link you create, with a note to identify it in your stats. Track hits from any site you send traffic to (i.e. affiliate programs, safelists,)and / or label them to know from where you sent them. Shows all referring URLs, Track total hits and total unique hits, All hits logged in an easy to read graphical format. Ability to edit all links you have made. Track hits and unique hits by month, day, even down to the hour! File locking to handle heavy loads of traffic, and can store an unlimited amount of created links! Flat file log can be easily downloaded via FTP for instant backup in the event of a server crash. Shows ratio of unique hits to total hits. Graphically formatted to give you a complete view of every stat detail of your links. Complete step-by-step instructions will guide you to setup in no time with only very basic editing and uploading knowledge. There are way too many reasons why you should run your own tracking system. But let's summarize the ones we've mentioned until now. Allows you to see what advertising sources produce the most traffic. Gives you detailed stats on where and when your hits come from. Allows you to send out links using your own domain name for instant recognition, and you can name your link to reflect what it is you are offering. This allows people to know where they are going, and who they are dealing with. Perl 5.005 or higher on Unix compatable system. Access to a cgi-bin to store files. Ability to upload files via FTP. *HOT! 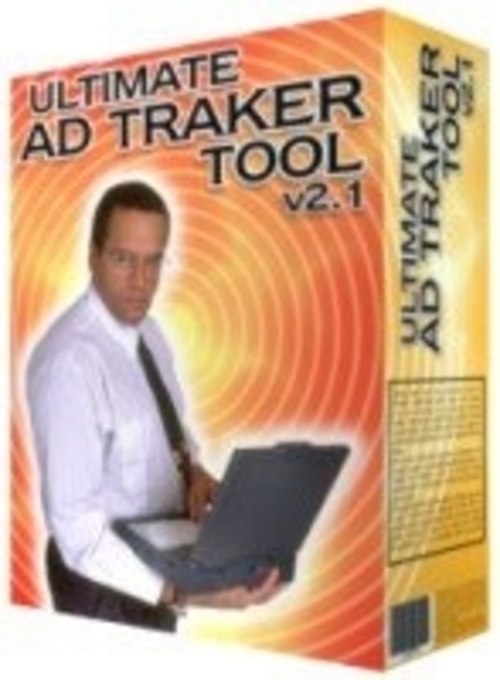 * Ultimate Ad Tracker Tool download ebook;how to;tips 91680304 3.97 rapidscc Fresh Download Available!